Cook Islands. 25 dollars 2018. Silver .999. Five ounces. 65 millimeters. Brilliant Uncirculated. Mintage: 777 pieces. B. H. Mayer’s Kunstprägeanstalt, Munich. Hover to zoom. The obverse bears Ian Rank Broadley’s portrait of Queen Elizabeth II (signature IRB below the neck). In the field to the right are the micro characters .999. 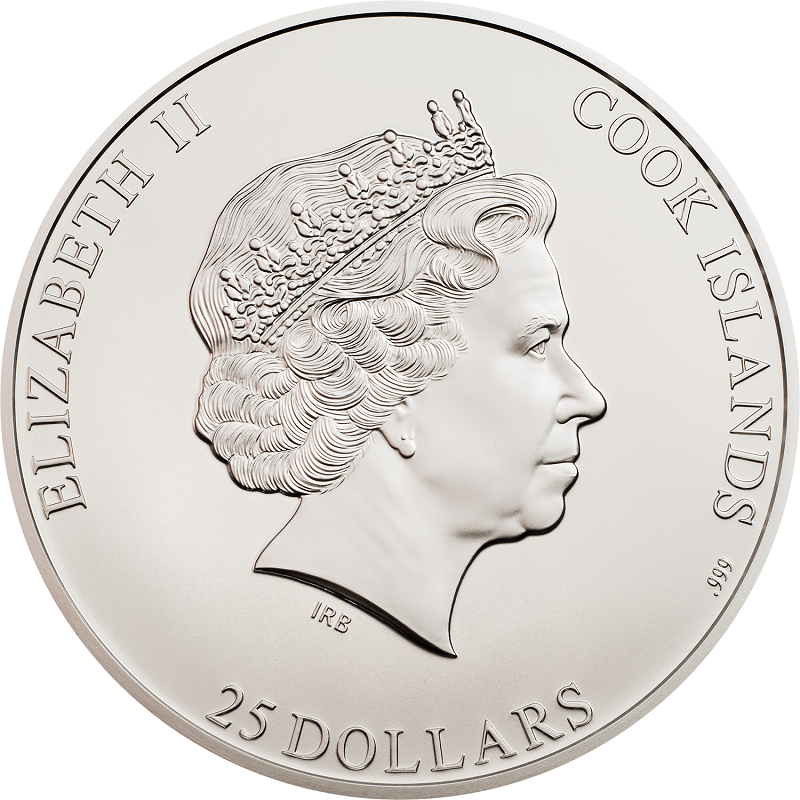 The surrounding inscription includes ELIZABETH II, COOK ISLANDS, 25 DOLLARS. 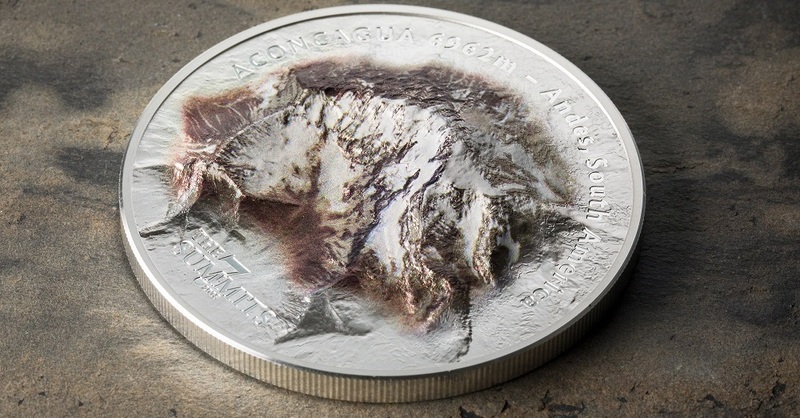 The reverse shows the Aconcagua mountain from above, its heights minted in topographic relief with selective color application of brown with hues of white. 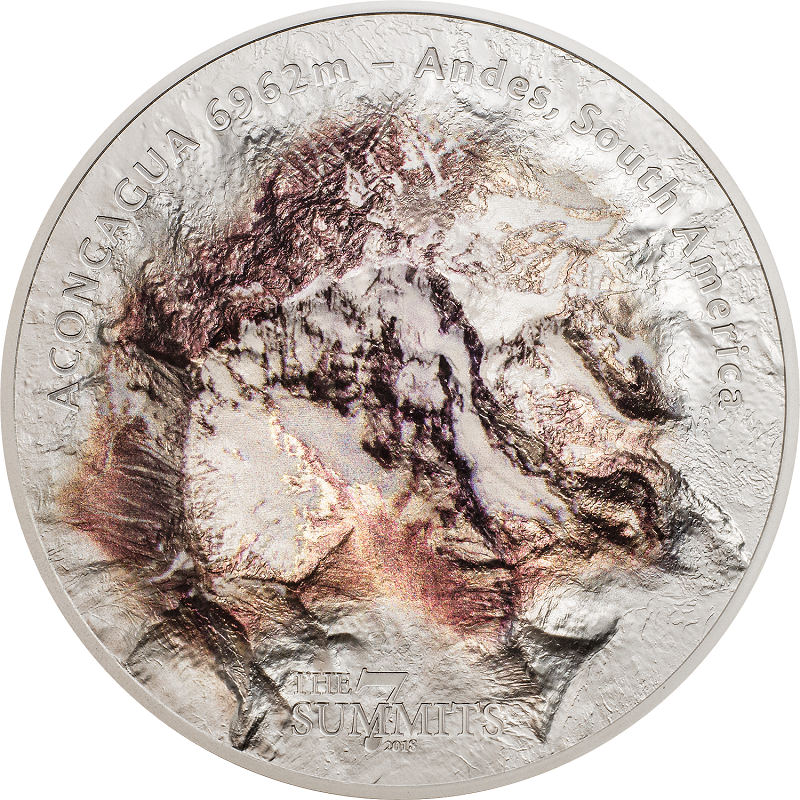 The inscription reads ACONCAGUA 6962 m – Andes, South America, THE 7 SUMMITS, and the year 2018. Compared to that prize-winning object, the new edition, dedicated to Aconcagua, is characterized by an even more delicate color application. At 6,960.8 meters (22,837 feet), Aconcagua in Argentina presents the highest elevation outside of the Himalayas in both the Southern and Western hemispheres. It is the only one of the Seven Summits than can be ascended without climbing equipment, which is why its visitors range from the 9-year-old boy to the 87-year-old pensioner. Unfortunately, potential summiteers underestimate Aconcagua time and again. In 2009 alone, five climbers lost their lives. A mummy from the 15th century, found at 5,300 meters (17,388 feet), shows that the mountain was already climbed more or less successfully in the early modern era. Traditionally, many German mountaineers opt for an expedition to Aconcagua since it gained renown with the scientific expedition of Paul Güssfeldt from Berlin in 1882-83. To date, one of the camps is called Camp Berlin. The first person to reach the summit on 14 January 1897, was the Swiss mountain guide Matthias Zurbriggen. 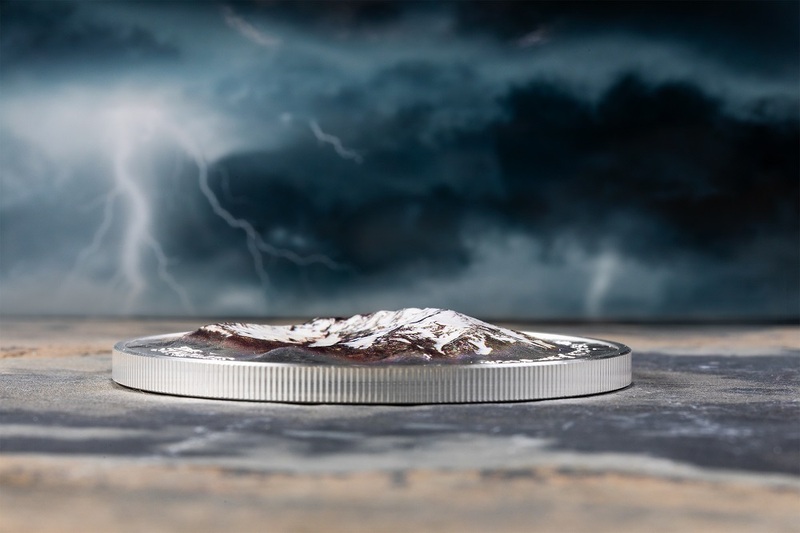 Like its predecessors, the mintage of the third edition of the “The 7 Summits” series will be 777 and it is just as likely to be sold out within a short time. 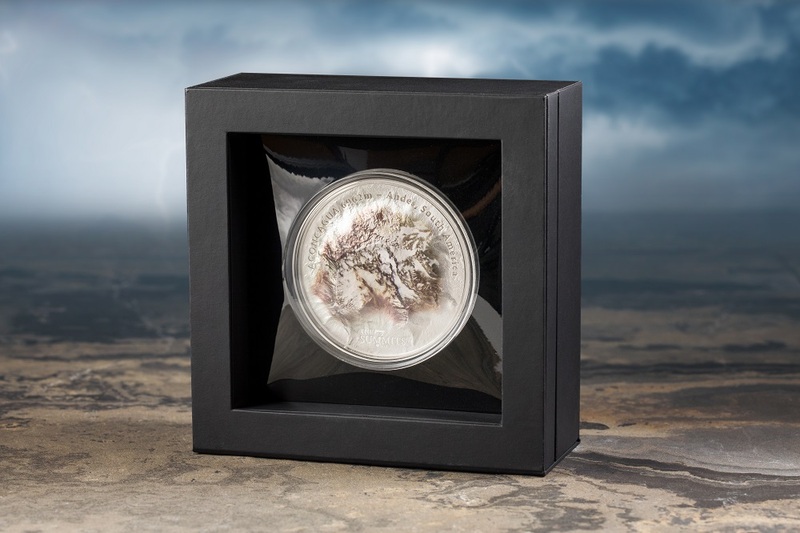 For further information about the coin, please click here.